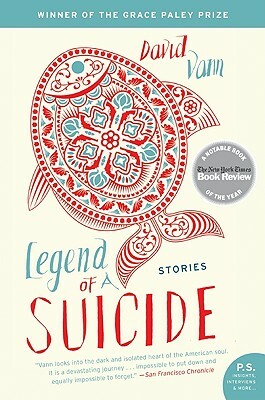 In this collection of semiautobiographical stories, a son copes with his father’s eventual suicide. David Vann explores dark thoughts and re-imagines events in an introspective, sharp manner. Legend of a Suicide naturally flows with honesty and grace. His father left him, back into the trees, and Roy took up the ax and chopped and hated his father. He hated this place, too, and listening to his father crying every night.What was he talking about, babies? He felt bad then, because he knew the crying at night was something else, something he was afraid to belittle. This entry was posted on April 3, 2010, 17:18 and is filed under Books. You can follow any responses to this entry through RSS 2.0. Both comments and pings are currently closed.